This Post is an attempt to make rational sense of the various reports of premature Scura OEM single disc clutch & aluminum flywheel failures, to try to establish accurate numbers and mileage at failures, AND current mileage on OEM clutch and flywheels that have not failed. Over the past decade there have been numerous theories and perhaps 20 or so confirmed reports of failures. Some have said the US models are free of these problems. There were approximately 700 Scuras produced in 2002 - 2003, each with a number plate. I'm thinking if everyone who owns a Scura could provide: # of their Scura; country of purchase; approximate date and mileage of failure (if occurred); and current mileage - we might be able to eventually establish a pattern and a range of Scura production that was most susceptible. 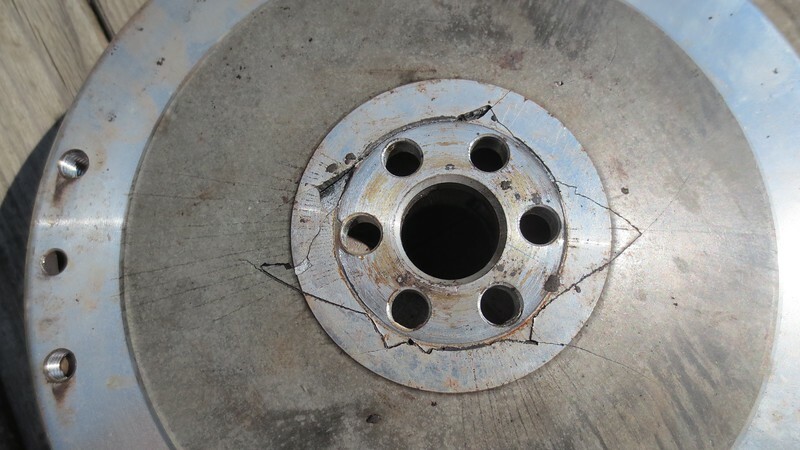 Perhaps there were a couple months where there was an unknown production problem such as incorrect torque spec used on the center bolts, or a run of substandard flywheels. Hopefully, we will also establish a range of Scuras that have little chance of premature failure. Please forward this post to anyone you know who owns (or owned) a Scura. Thanks! 2002 Scura #599, purchased in the US, NO FAILURES, current mileage 22,500 miles. Want Tenni and Rosso Mandello too? 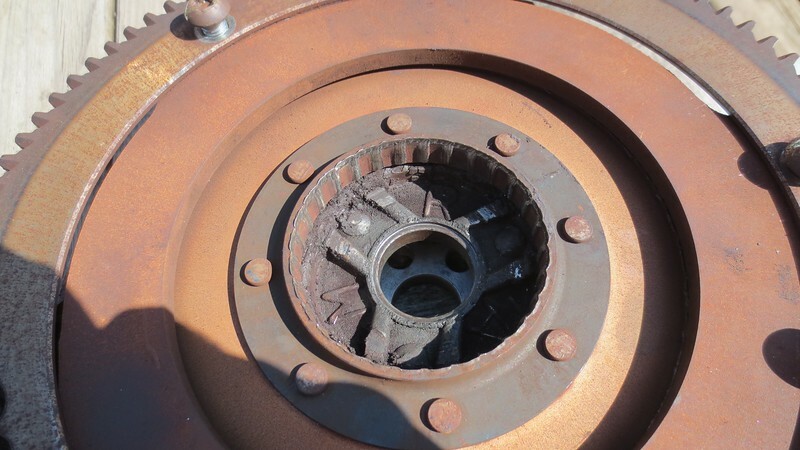 they have the same clutch/flywheel. Scura 375, USA, 12,000 trouble-free miles - but noticed a small noise on engagement recently and will replace soon. Tenni. 14 000 miles. Replaced because of wear (with a twin plate set up). Original alloy flywheel had hairline cracks around the centre. My Scura (350) developed a really really bad noise at 28,000klm. Split the engine to find that the flywheel had fractured completely. The whole clutch assembly was floating in the breeze, totally stuffed, very very annoyed. Scura #672, purchased in Germany, replaced because of "hammering noise" at 30.000 km (18.641 mi), with 2 disc clutch. I agree with those, who think that each and every original aluminium flywheel (Rosso Mandello, Tenni, Scura) will break down, it’s only matter of where and when (mileage/how aggressive use). The mechanic said, “few more starts and the clutch would have been flying around your head”. When the flywheel/clutch disintegrates and destroys the block and gearbox it turns your motorcycle a parts bike. Scura: Replaced original clutch/flywheel assembly at 19,000 miles with a RAM single-plate unit. Original clutch was working perfectly, no symptoms of problems. I replaced it because I'd seen too many pix like Fotoguzzi's above (pattern always the same, cracks around centre at washer edge, radiating outward) & knew bikes which had flywheel break up in this way. On removal, original clutch showed no undue wear or damage to any components. Flywheel showed no cracking, but I would do same again, every time. Scura #269, 13k miles. Original clutch. Crack tested a few times, so far so good. Can't be sure but i think 22000km for cracked flywheel then the replacement (not the one i ordered) at about another similar interval - exploded and took out gear box. 80000km since on 2 plate.